The following is a rare sort of study that I’ve been meaning to share for some time now. It is the English version of a Turkish Economic and Social Studies Foundation (TESEV) publication that gained some recognition back in November 2010. It is still relevant, though, and it is worth perusing to gain a data-based sense of perspective that is generally lacking in the scholarship. The main point of interest is the “spillover effect” that the public sector ban on headscarves has on the private sector—and thereby on women in the labor market as a whole. This effect, according to the study, only serves to aggravate the preexisting rights debate over the headscarf. For the regular readers: I will probably be referring to this study in the future. The main purpose of this research is to understand in a sociological framework the mechanisms of discrimination experienced by professional headscarved women in Turkey in 2010 while entering and staying in job markets. Since the 1980s, the headscarf ban has had direct and indirect impacts on headscarved women in higher education and professional jobs. But the scholarship on women and employment in Turkey has not yet discussed the effects of the ban. The right to education and employment is a fundamental constitutional right of citizens in modern societies. The headscarf ban not only prevents the exercise of a most fundamental citizenship right, but also restricts the participation of headscarved women in business life. The present research, therefore, seeks to understand the effects of the headscarf ban on women’s participation in working life. I have posted, by now, about how the interests of many global parties—NATO, Russia, Turkey, Iran, and Saudi Arabia—all converge in Damascus for one reason or another. Understanding the reasons for each group’s interest in what transpires in Syria is complex—much more complex than I can fully convey or understand—but I have attempted nonetheless. That attempt has made up, since my first post, the majority of this blog. So for a moment, I’d like to briefly and loosely collate—in sound-bite fashion—my analysis on how Syria has been a focal point in the last year or so. If the Syrian regime falls, it’s a probable BOGO for NATO and anyone who wants unilateral security (in the form of U.S. Nimitz-class supercarriers) in and around the Med. [12/14/11]. But what Russia does have is a Mediterranean naval port. It’s in Tartus, Syria—just south of Latakia. Considerably better developed and defended (complete with Russian surface-to-air missile system), Russia’s port in Tartus will not be given up easily… [12/14/11]. Latakia is the new Persian Empire’s (Iran’s) attempt at a naval base on the Mediterranean… [12/14/11]. Meaning: The Russian and Iranian naval bases at Tartus and Latakia, two Mediterranean access points for NATO antagonists, would be forfeit in the case of regime change. Will al-Assad leave his post in the near future? It’s anyone’s guess, but it has no bearing on Turkey’s policy toward Syria. 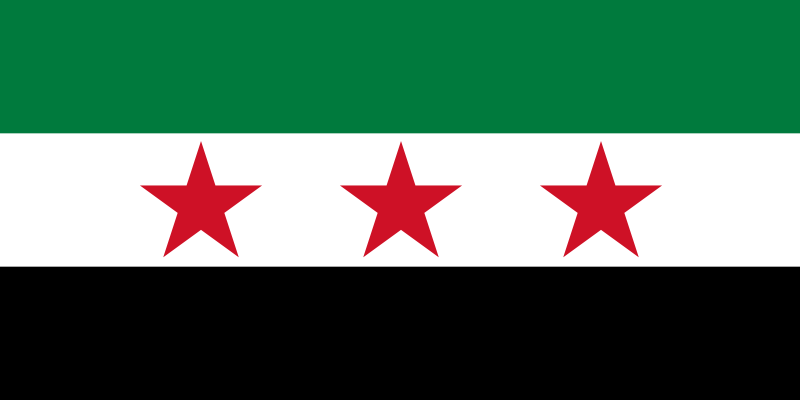 If Turkey is to “trust the masses” and maintain its role as a supporter of the Arab Awakening, it cannot support a Syrian regime that appears to oppress its citizens, and it must sell al-Assad’s government short—in spite of recent amicability—to retain its legitimacy [5/17/11]. Meaning: Turkey does not want to be the dog that barks, but doesn’t bite. The only thing stopping the new Persian Empire from expanding its Shia-powered influence—continuously—from Iran to the Mediterranean (and to Israel’s doorstep), is a new, unfriendly Sunni government in Syria [12/14/11]. Meaning: Syria is an integral part of Iran’s empire-building process. Saudi Arabia is … caught between a geopolitical imperative to contain Iran and a domestic strategic imperative to contain Islamism as a political force [3/5/12]. Saudi King Abdullah was reported to have said last summer, “nothing would weaken Iran more than losing Syria.”  [1/7/12]. Meaning: Although the danger of expanding Muslim Brotherhood influence is very tangible to the Saudis, the danger of an Iranian oil empire is greater. The apparent result is team Russia, Iran, and Syria versus team NATO—with Turkey in particular—and Saudi Arabia. But despite what you may call a stacked team against Syria (NATO topples regimes in its sleep), regime change has not transpired, and shows no immediate signs of doing so. Direct intervention by NATO has only been hinted at, and not with much popular support. Even Turkey, despite pressure on many fronts to do so, has still not bitten. The result? A stalemate—no conclusion in sight. But the reality is that no conclusion is a real conclusion—there are simply too many unilateral interests converging in Syria. Bashar al-Assad was right when he said that regime change in Syria would mean an “earthquake” in the Middle East, its effects felt across the world. What he failed to mention, though, is that stability in Syria would just mean the same thing in a different way.